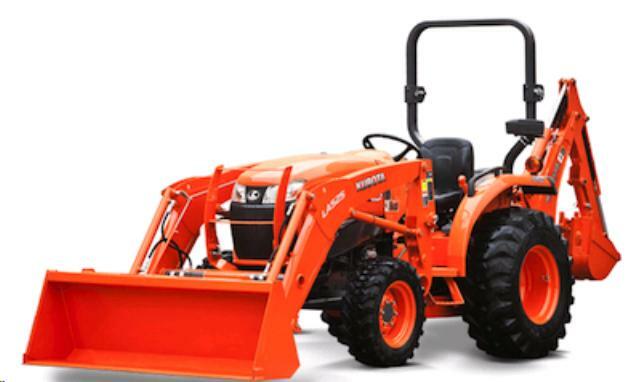 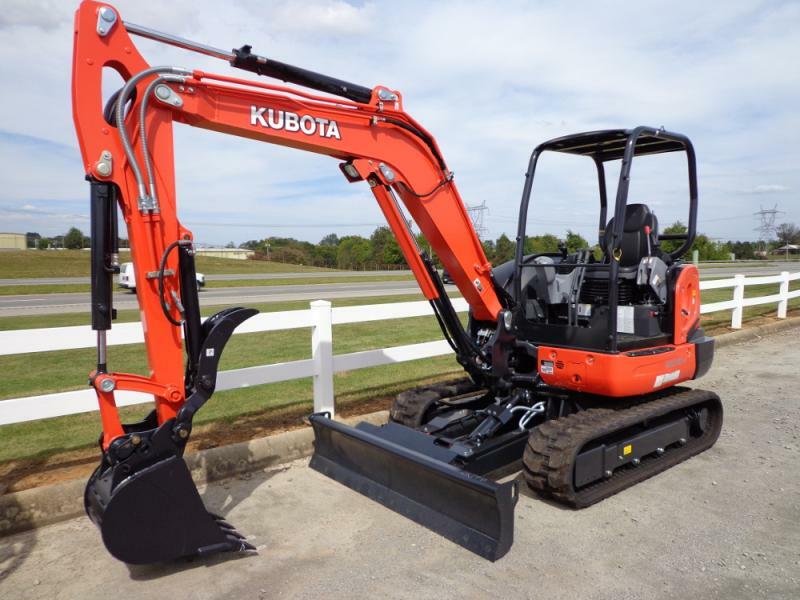 Kubota U-35 8000 Lb. 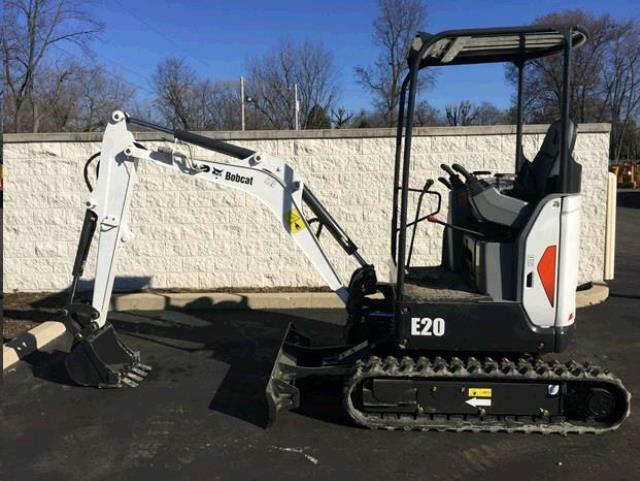 Mini Excavator, 28 hp. 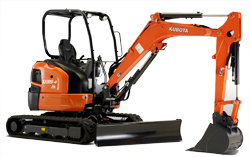 10'3" dig depth, 16'9" reach 7900 lb digging force. 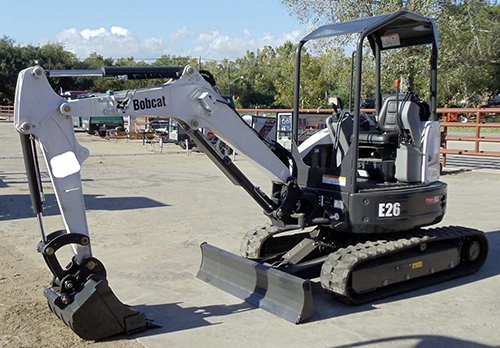 Bobcat E-26 6000 lb. 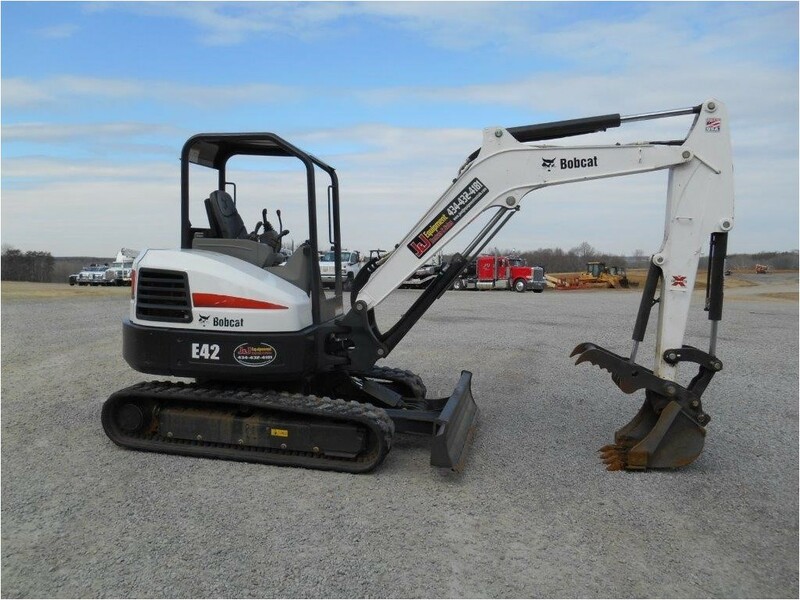 Mini Excavator, 25 hp., 8'5" Max dig depth, 14'9" max reach, 3560 lb. 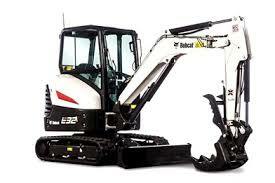 max digging force.